He’s still up there. Somewhere. Alone. 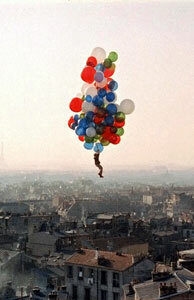 The poor balloon boy, captive of the merciless sky. Orphan of the atmosphere. My heart goes out to him. No, not that hoaxing chump whose dad sent up a Jiffy Pop bag and called 911. I’m talking about the real balloon boy. Pascal. Le garçon Parisien who has been riding the whims of the winds since 1956. At least he was wearing a warm sweater. 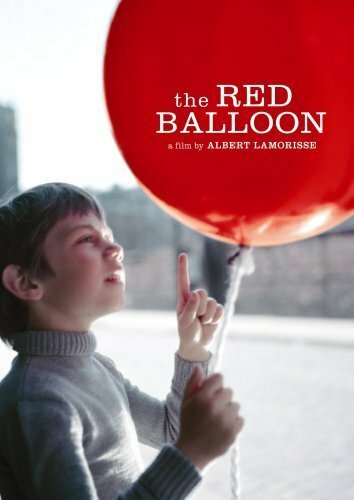 In retribution for failing to protect one of their kind from the neighborhood bullies, pauvre Pascal was kidnapped by a marauding band of garish helium hooligans, never to be seen again. He would be in his 60s by now. Be brave, Pascal. Web 2.0 Journal has a look at the Nook (hey, that rhymes) vs. the Kindle. 2010 is going to be the Year of the E-book. Don’t take my word for it, PCWorld has a roundup of the new combatants in the War on Paper. Old Publicious pal Plastic Logic will ring in the new year in January with the QUE. XML Journal has more on the Nook, and how Adobe worked with Barnes and Noble to get PDF and EPUB on the gadget. Need to design and produce accessible PDF? Then you need to read Adobe’s resources on the subject. How to create accessible PDF from Word, InDesign, etc. LiveBrush is yet another free and interesting drawing app. ‘Tis the season to be gory, and Naldzgraphics has gathered 45 horrifying Photoshop tuts. How to zombify, vampirize, etc. Flash without ActionScript is like ice cream without hot fudge, whipped cream, and a cherry on top. That comes zooming onto your table from stage right. Enter ActionScript.org to help you learn the magic words. Flash on the iPhone? Sorta, kinda. Newsfactor has an article on Apple v. Adobe. VectorTuts has a tut on creating a vector texture with a wonderfully old school twist. Creately is an online diagramming app that’s either free (basic version) or pay what you want (souped up). InsideRIA is a great site from O’Reilly for keeping tabs on developments in the rich internet app realm. Lastly, thanks to Pariah Burke and his column Free For All on CreativePro.com (required reading for destitute designers everywhere), for the heads up on FontCapture, a free online tool for making a font out of your handwriting. I don’t know why I think this is cool. I don’t try to write in Helvetica, so why would I want to type in Rankin? But I really do. Till next time, think of Pascal, and keep watching the skies.